A water change is an act of removing dirty water from your aquarium and replacing it with clean water. Water changes are a regular task in the aquarium hobby while there is plenty of debate as to how often and how much should be replaced and there are even methods and some hobbyist who do not do water changes. 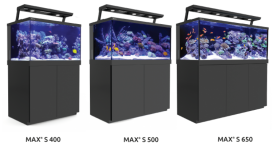 We will go over what you need to know so that you can find out what works best for you and your aquarium. Replace the minerals or elements utilized by the tank. There is no need for “supplements” if you are performing frequent water changes. This may be all that is needed for smaller tanks, larger tanks may also need to be supplemented with Alkalinity, Calcium, and Magnesium can easily be added and tested for at home. How often should the aquarium water be changed? This is a tough question to answer because everyone's situation is unique. The only way to know for sure is to test your water. Ideally, you want to make sure that the water changes keep your water parameters at a safe level. Let’s say you are aiming for once a month if on the third week you find your nitrates climbing, the once a month routine is not going to work for you. Some people feed heavily or have messy eaters and not enough media to grow good bacteria to offset the amount of waste being produced. These users will have to do water changes more frequently. Test your water levels. You do not want any traces of Ammonia in your water or Nitrites both of these are deadly to fish. Nitrates (not to be confused with Nitrites) while hints are not fatal to your fish, elevated levels will cause algae to grow in your tank. High levels can cause your fish to experience problems. It seems like the more common options are to do water changed either weekly or bi-weekly (every two weeks). Some of the most successful saltwater aquariums I have seen do three smaller water changes per week. It depends, what are your current water parameters? Are you do a maintenance water change or are you dealing with a problem? Common amounts if you do weekly water changes to do 10% water volume and if you do bi-weekly then 20% water changes. The people who do multiple water changes a week usually do smaller amounts 2-5% water changes each time. When it comes to maintenance, why would people do multiple water changes a week do better than someone who does water changes every two weeks when in essence they are changing the same amount of water? In aquariums, it’s all about being consistent the more consistent the water is, the better the species in the tank will be. So by doing a small water change, the water parameter change is a small amount each time. When you change 20% of the water it causes a significant swing in water parameters. While 99% of the time the change will not kill anything in your tank, most of the time it will irritate species in the tank. By the time they start to get over it, it won't be long before its time for the next water change. So you are dealing with a problem, let’s say your Nitrate levels are 10 ppm and you want them to be 5 ppm or lower. If the test claims they are currently 10 ppm then you would have to do a 50% water change in your tank to get them down to 5 ppm. I usually do not recommend changing more than 50% at a time. You can change more, and it’s not like dealing with a new tank, because bacteria is already established. So why do I not recommend it? Because changing 50% of your water will cause a significant swing in your water parameters which can cause the species in your tank to freakout. You may think that the sudden change may be a good thing but they could already be weak from dealing with the water conditions and then a sudden change like that could stress them out further. If you need to do more than 50% water change to get your water parameters in check, then I suggest doing multiple water changes. Maybe do a 50% water change if you think the species are dying or could die. Then wait two or three days and do a 25% water change and continue doing 25% water changes about every three days until you reach your desired goal. So there are multiple methods for avoiding doing water changes in your aquarium. Let’s say you are dealing with an ammonia spike (super deadly) they only healthy amount is 0 ppm so what do you do a 100% water change? You could go with a 50% change and continue to follow up with 25% water changes, but there are chemicals to help remove ammonia such as AmQuel. I think this sparked a whole new way of dealing with aquariums. 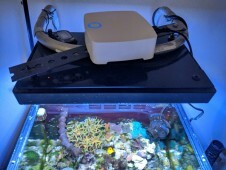 Triton helped revolutionize this movement with their ICP test to analyze your aquarium water. An ICP test can test more elements than you can at home today. The process is to send in a water sample to be ICP tested and they will provide the results and tell you what elements are off in your tank. They even have their chemicals to adjust your tank and help get them back to the correct level. This is great, and if you live somewhere where water is limited, very expensive or you feel like you are wasting water, then you may want to check this method out. Sounds great right, no more water changes, YES! Who would not want that? The downside is that everything can add up quickly. The Triton ICP test is about $45-450 per test (not including shipping cost) then you have the additives needed to make corrections, prices vary depending on what you need. Some people do ICP test every month, so just the ICP test alone will cost you $50 a month. Then there are the additives, they sell most of them, but in some cases when the test comes back the suggestion is to do a water change. So don't throw away your siphon and buckets just yet, you may have to do the occasional water change still. But wait, there are hobbyist out there who do not do water changes, and they do not do any fancy ICP test. Well, this is not an overnight process, but a saltwater aquarium can become somewhat self-sufficient as it matures. With that said only a limited amount of fish and coral species can live like this. You will be looking for hardy fish and corals that prefer dirty-er waters like zoanthids, polys, and several soft corals. The no water changes is something that you eventually get to, you can't start the tank this way. You may need to do weekly water changes for 3-4 months and then go to bi-weekly water changes for 3-4 months and then a single water change a month for 6-8 months. During this process, you have to monitor the water parameters and more importantly, the species in the tank, make sure you are not feeding to heavy. There is no guarantee, but this is how I would go about it. You will still need to top off the tank but with an auto topper (ATO) and depending on the size of your ATO reservoir it could mean filling it once a week, to once a month or never if you hook it up to your RO/DI unit to it. I do not know who said it first, but you will hear it multiple time from many people. In the aquarium hobby, you do not keep fish, corals or plants. 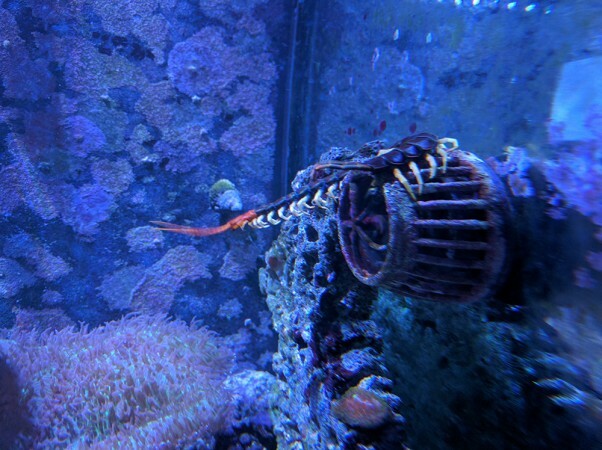 You keep water, and proper water parameters allow you to keep other things such as fish, corals, and plants. A sick fish heals quicker and more natural in good healthy water. With that said having a TDS meter to determine how much Total Dissolved Solids are in your water. This is nice to have. You may be surprised at the reading of the water you drink from the tap or even some of the water you buy from the store. After getting a TDS meter, you may find out that you need a Reverse Osmosis (RO) Unit or even a Reverse Osmosis Deionization (RO/DI) Unit to help get your TDS down to 0. 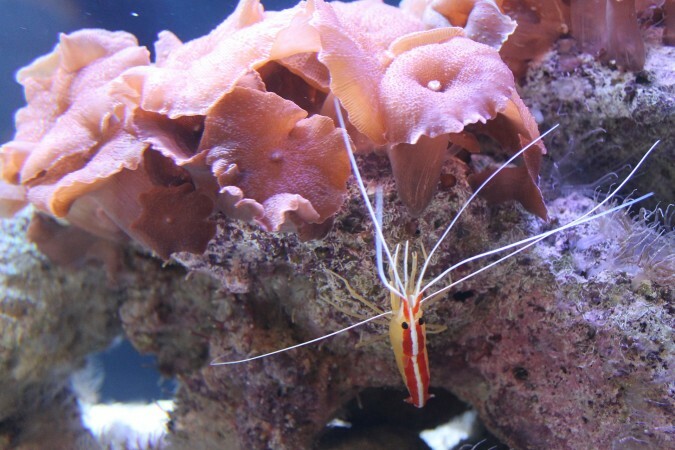 This is especially important if you plan to have a Saltwater Aquarium. On freshwater aquariums, you are mostly worried about how the water is treated and removing chlorine and other chemicals used to treat your water. There are many chemicals that you can purchase to make the water safe for freshwater species. So why is it essential that a TDS meter reads 0 TDS for a saltwater aquarium, can’t I treat the water the same way as a freshwater tank? Unfortunately no. A TDS meter will tell us there is something in the water but it does not know what in it. In some cases it could be something that does not matter in other cases it could be something like copper and every water change keeps keeps adding just a little more to the tank. Eventually killing species in your tank. I have never personally seen an issue with it continues to add copper to the tank and killing off species in the tank but it could. What I have seen in every case when someone uses water with elevated TDS levels ( >0 ), eventually they start to have algae issue, and the test do not show anything is wrong. They change their filters do tons of water changes find a way to get the algae out of the tank, and they are good again. The water changing process is not complicated but it takes time, and people are lazy. Some people are lazier than others, and eventually, you will skip a water change for whatever reason. You will notice that your aquarium did not implode for missing a single water change. This is a slippery slope, once you realize this, it becomes eaiser to miss the next water changes in the future. At some point you will miss two water changes in a row, life happens. The issue is if you miss one water change, your water parameters are slightly elevated and will remain high until you do an extra water change. The more water changes you miss, the more they elevate and eventually you have an issue. So make the water change process as simple as possible or if possible even try to automate the water change. There are devices out there that can help with the process of automating the water changes, but unfortunately, most of them are expensive. If you have a small tank nano making it easy does not have to mean to automate them. I have a 30-gallon nano tank twice a week I do a 1-gallon water change on it. I made the process simple. I bought a 1-gallon plastic pitcher, I dip the pitcher into the tank and pull out 1 gallon of water, I dump it, I then fill the pitcher back up with new saltwater and dump it in. If My saltwater is already mixed and ready to go the process takes me about 2-3 min — no siphons or buckets. Bottom line, the easier you make the process, the less likely you are to miss a water change.